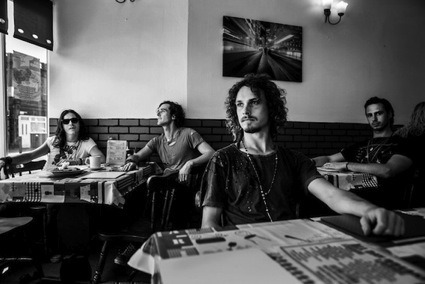 The Northern Irish rock band The Answer have recently release a new video for their latest single ‘Solas’. ‘Solas’ is the title track of their new album which is scheduled to hit the shops on 28th October 2016 via Napalm Records. The new album is inspired by the band’s Celtic background and sees them incorporating elements of Irish instrumentation, vocal style and Gaelic chanting into their music. 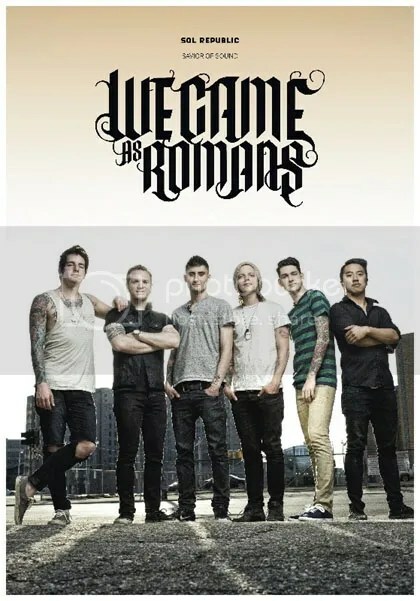 For the first time in their career, We Came As Romans are about to play a couple of shows in Ireland. And in addition to it, they will perform an acoustic session and in-store signing in Dublin, at HMV – Grafton Street, on Wednesday 18th June, between 13:00 and 14:00. We’re heading out on our first ever full length European headline tour this March! After having such a great time on the July UK headline tour, we’re looking forward to coming home and stepping things up even more on this one. The band’s latest single I Am Electric is set for release on 16th December, in support of the reissue of their awesome, highly acclaimed debut Filthy Empire available now via Red Bull Records. 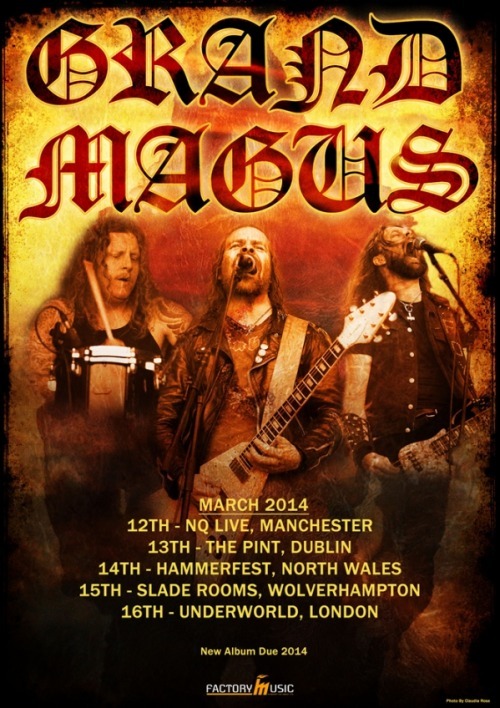 After the highly-celebrated release of sixth studio album, The Hunt, Swedish gods of the riff Grand Magus are heading back to the UK and Ireland to embark on a 5 date tour in March 2014. The Swedish trio have always stuck to their own path of natural evolution – they’ve never casted off their early days’ groove nor their love for epic doom and extreme metal. These trademarks are now being paired with traditional riffs and melodies that rock in the same qualitative league as Judas Priest or Dio. Warriors! When we last ventured across the sea to bring our steel to the UK and Ireland, our hearts were filled with joy from your response. It gave us such a rush that we wanted to come back as soon as possible. Well… We’ll be back in March! Expect the most ferocious viking power shattering the clubs and the, for us, aptly-named Hammerfest! Valhalla awaits! The tour dates are as follow – Click the links for tickets! John Gallagher from Dying Fetus will be filling in for these UK [and] Ireland shows and I’m sure he will do an awesome job. So please show your support for him and the band! See you soon. 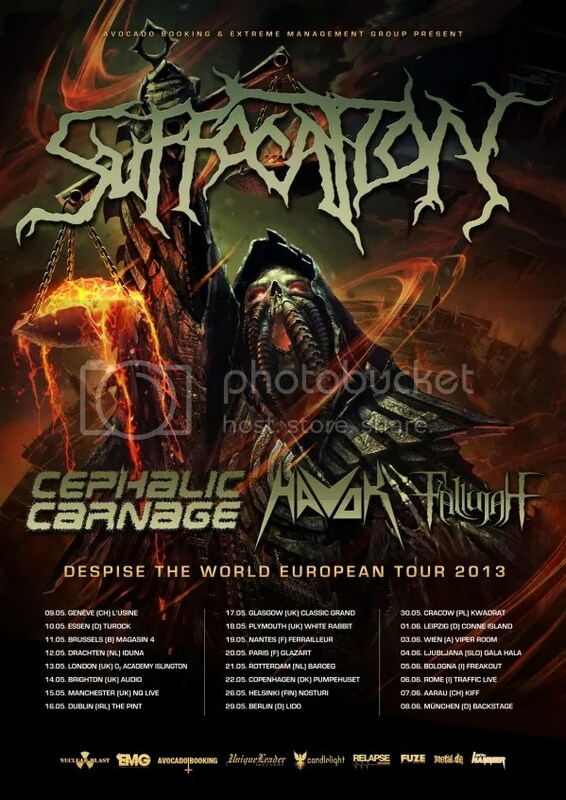 I’m stoked to be performing on these shows with longtime friends and my brothers in metal, Suffocation. It’s going to be a blast and since I’ll JUST be singing the vocals, they are going to be super sick and guttural. So make sure to come out and party with us and witness the brutality! Irish black metallers, Celtachor, who recently shared the stage with Heidevolk in York, have penned a deal with Trollzorn Records. 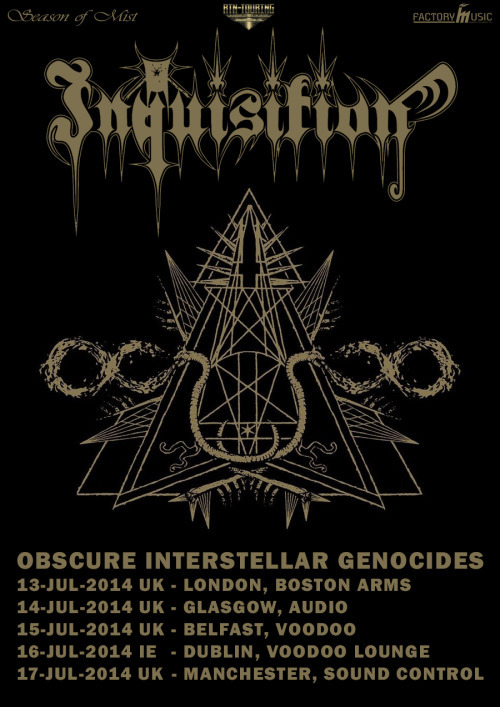 Formed in 2007, with a finalised line-up in 2010, the Celtic metal band have gone onto share the stage with top folk metal names like Alestorm, Skyforger, Heidevolk and Waylander, amongst others. Blending together influences from black, death and doom metal, as well as traditional Celtic medleys, Celtachor firmly established themselves as one of the top bands in Ireland’s underground metal scene. Celtachor’s debut album, Nine Waves From The Shore, was released in November 2012 but is now available from Trollzorn’s online shop, at this location. The band’s next release will be out towards the end of 2013 and will be released through Trollzorn Records.